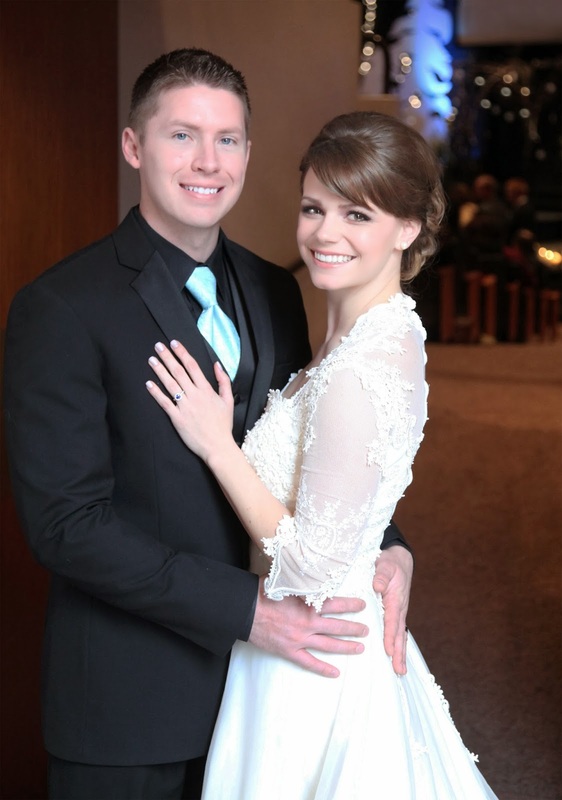 A year ago today, Daniel and I were married in the most beautiful winter wonderland setting at our church. 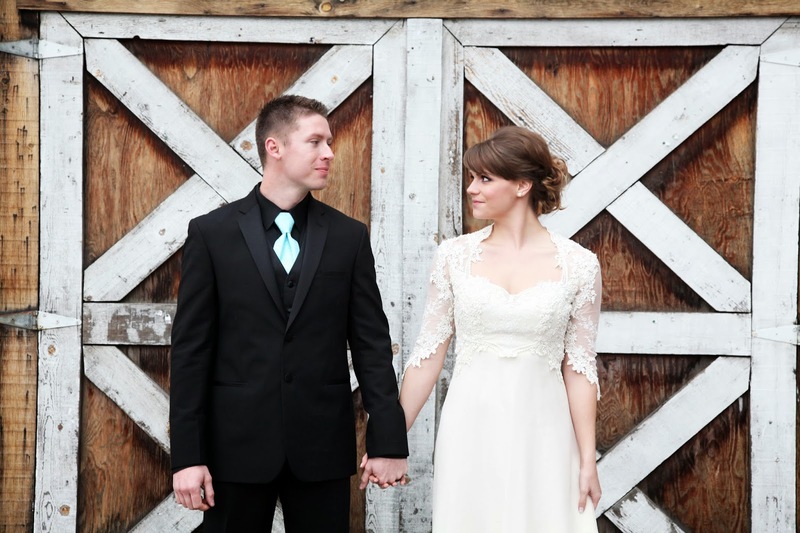 We were surrounded by family and friends, and we felt the love from our entire congregation—since we had our wedding at our church, we made it an open invite ceremony—and it was beautiful, fun, so special, and a big, giant party. One of the best things about our marriage is that it was built on the strongest foundation possible. We have God as our center—our rock. Through him, we know we can do anything and that nothing can divide us or tear us apart. When we know we love the Lord first and foremost, he teaches us how to love each other and how to be better for the other person. Like every couple, we've had trials over the last year, but with God, we were able to get through them and the love we have now is stronger than ever. We couldn't do it without Him. I can't believe the last year went by so quickly. We have changed immeasurably, helping each other become the new people we are today. We make each other better people. We are best friends. We love spending time together, making big decisions together, and building our lives together. This may be the end of "year one," but it's just the beginning in the story we're writing as we go. I love you, Daniel. My best friend. My leader in the Lord. My husband. My other half. My sweets... I love you. awe happy anniversary! This is so sweet and it's true you put god first and everything else will follow. It's so important to have god in your marriage and your wedding was beautiful :) . Happy Anniversary! Such beautiful photos :) Here's to many years to come! I've said it a bunch today, but Happy Anniversary! Your wedding looked fantastic and I'm sure you're just so happy today! Happy Anniversary! Your wedding looked absolutely gorgeous! Happy Anniversary!! It seems like just yesterday I was ooohing and ahhhing over the wedding pics! Happy anniversary!!! Absolutely gorgeous venue, and I can't get over the lovely lace on your gown! So pretty!! I can't believe it's been a whole year. Feels like just yesterday I read about your wedding day. May you both grow in love. May your bond be stronger than ever & may God's grace keep you & sustain you both. Congratulations on your first wedding anniversary. You guys are adorable. Here's to many more. I married a Daniel too. Good name. :) Happy anniversary!! Your wedding looks like it was SO lovely! I can't believe you two are celebrating 1 year already -- congrats!! Congrats! These pictures are beautiful! Congratulations! Happy One Year Anniversary!! You made such a beautiful bride! Happy Anniversary to you and Daniel! xo! I love these pictures! Thank you for sharing! first..happy anniversary. second...my jaw dropped open when i saw your pictures. A-maz-ing! Congrats. May you have many more years of happiness and wedded bliss. Time absolutely flies by. It seems like only a couple months ago that we got married! Thanks so much, Cait! I'll toast to that! Many many many more years to come ;) Thanks Kimberley! Oh, such a compliment! Thanks Kimberly. We were so excited with how the setup turned out. We hardly had to do a thing... it was mostly all from our church's Christmas decor anyway! Thanks Emilie! It was a pretty surreal setup... a true winter wonderland! No joke! Thanks Shaina... we can't even believe it's been an entire year already! Oh you're so sweet :) I forgot how lovely our church setup was... so fun to look back through. It was hard to only pick a couple pictures to show for this post! Thanks so much, Eesh. I love that... His grace sustaining & keeping us close to Him and close to each other. You have such a beautiful way with words. Ps-- your comment worked today! Did you do it from your computer? Cheers to that, indeed. Thank you so much for all the love, Shannon! It feels like we JUST got married. Like Christmas was just a couple days ago. Like the stresses of it all just finally disappeared. Can't believe it's already one-year. My oh my how time flies! Enjoy every moment, you know? It goes too fast!! We can't believe it, either. Thanks so much Allie! :) PS> love that you called us love birds. Birds are my favorite... ever. Oh how wonderful!!! So May 1st will be one year... how great. Can't wait for you to get there... you'll love it :) Thanks again, Katie! Thanks Jane! I agree... Daniel is a wonderful name. Daniel's dad is also named Daniel, so we are always debating whether our first boy will be a Daniel or not. But hey, we're not there yet, so no use in wasting time debating it :) haha! Thank you, Halie :) We are so amazed at how fast time flies. Goodness, life is too short! I love that you've stuck around my blog for this long... that's a huge compliment :) thank you again! You're so sweet. Really... I appreciate that. The dress was easy.... it was my mom's. And I insisted on doing my own hair and makeup :) That way I didn't have to worry about a thing :) Thanks again, Becca. Thinking of you and hoping all is well with you and your family! Thanks so much, new friend!! Our ceremony was not our doing at all (hardly any of it, anyway). It was how our church was set up for Christmas. How lucky were we? :) Also, the dress was my mom's... over 30 years old. Can you believe it? That's so cool that you were able to wear your mom's dress! My Daniel's dad was a Daniel too! And we go through the same debate. We will see. Thankfully we have years before coming to a final decision. Is your husband a II? Daniel and his dad have different middle names so they wouldn't have to do the whole Sr Jr thing. But how about yours? Haha, I knew a guy growing up who was a III, and he went by Trey. I thought it was a cute name! I think the best part is that you have options and no obligation (I hope!). You'll have fun deciding, that's for sure! Life Doesn't Look Like Pinterest. I Joined the Air National Guard!